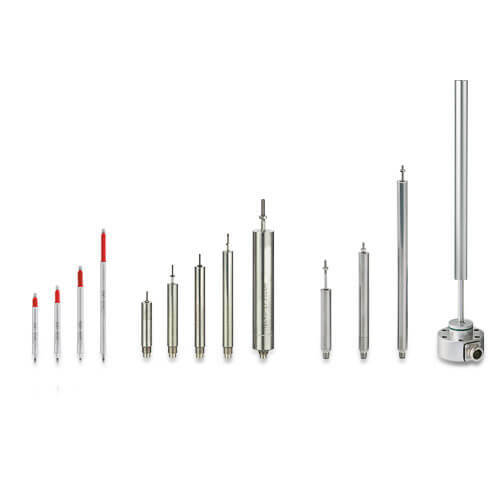 Displacement transducers and LVDT gauging sensors are suitable for the application under keen industrial ambient conditions such as high temperature or pressure as well as acceleration and high measuring cycles. Gauging sensors are equipped with a plunger guided in plain bearings and fitted with a return spring. Gauging sensors are often used to measure e.g. length, width, diameter and thickness.